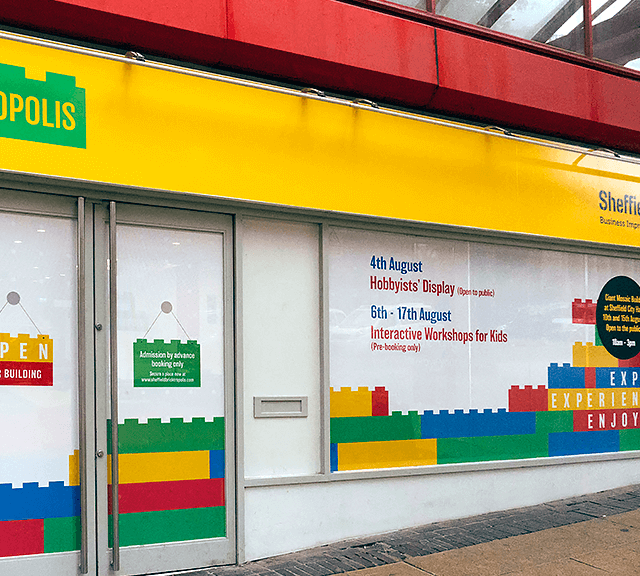 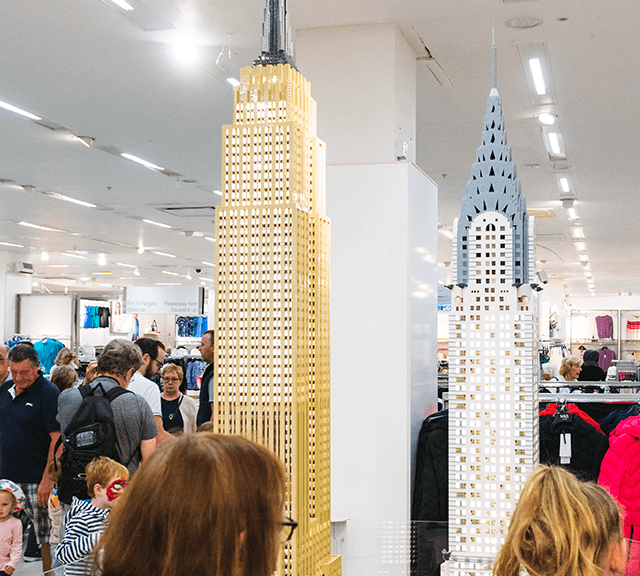 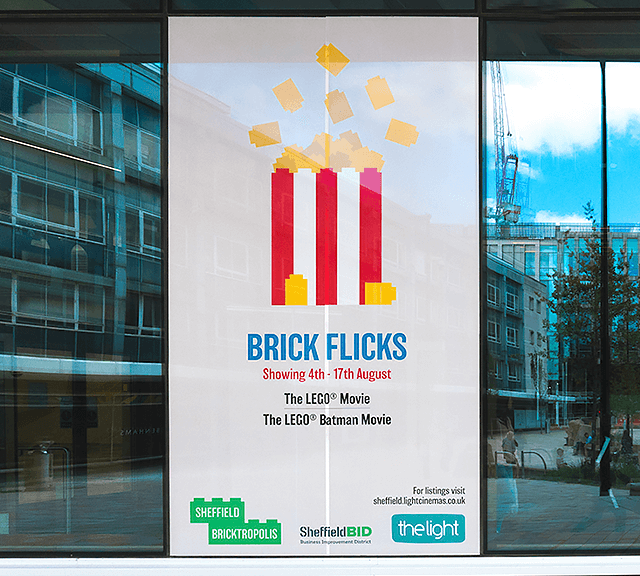 Sheffield BID organised a two week LEGO-brick themed event across the city centre. 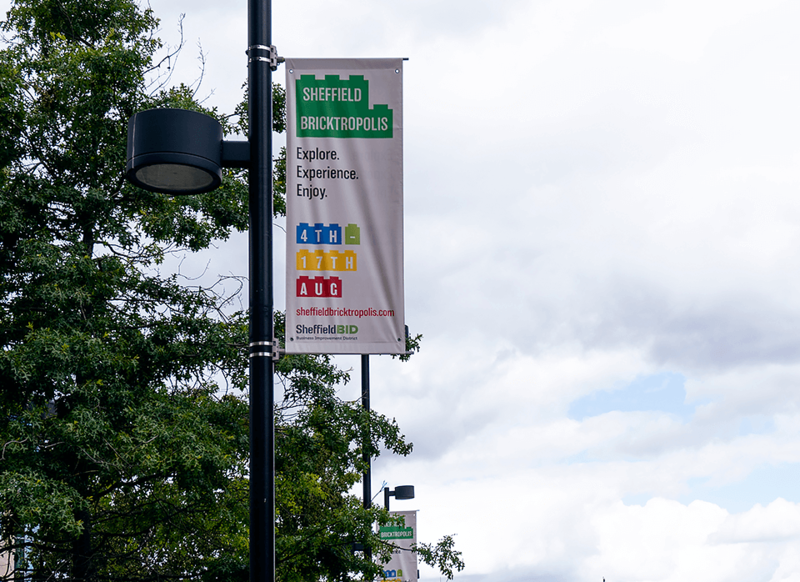 Our job was to let the public know it was happening, in order to increase footfall and interest in Sheffield City Centre businesses during the typically quiet summer trading period. 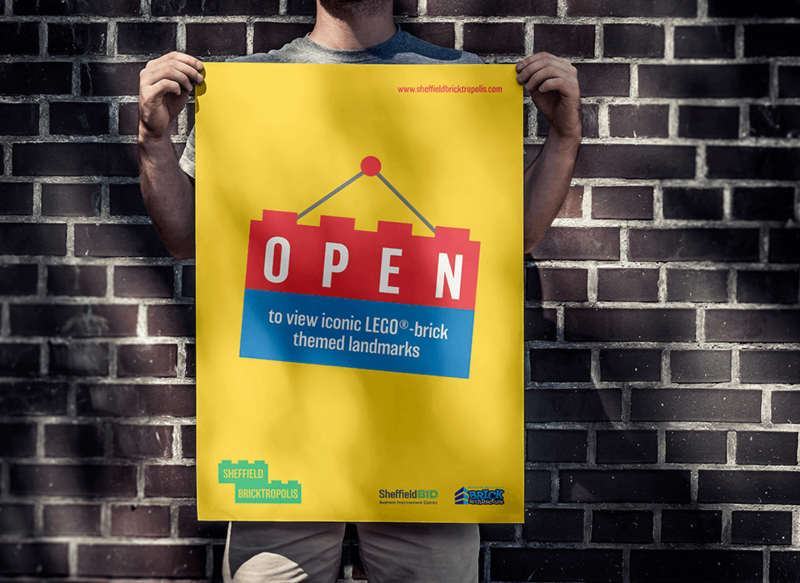 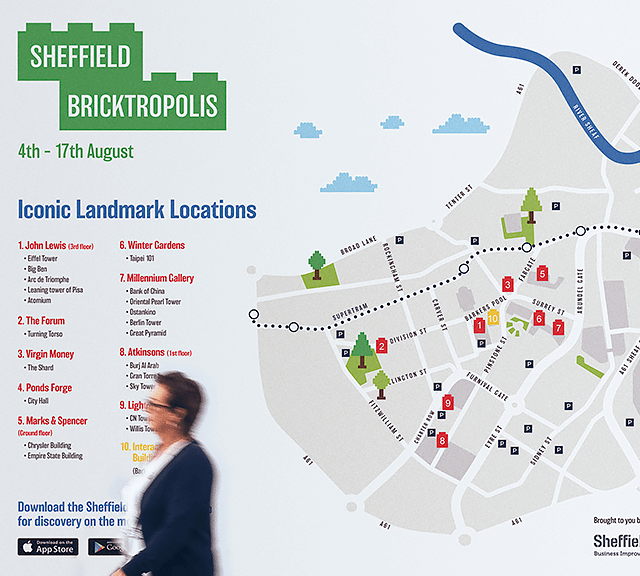 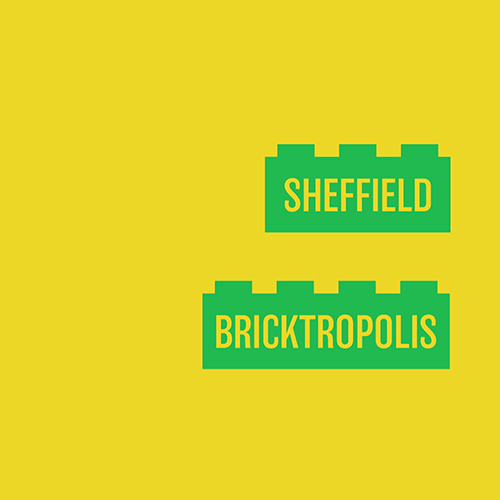 The first job was to create a brand for the event as we had a name - Sheffield Bricktropolis - but nothing else. 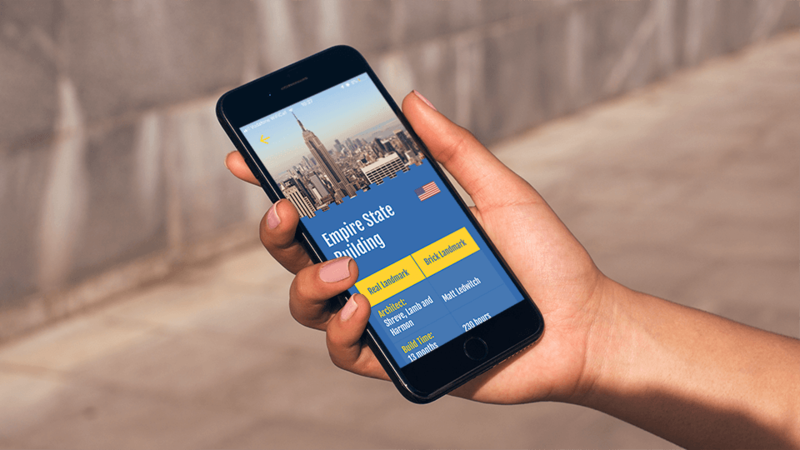 The second was to market the individual elements of the event. 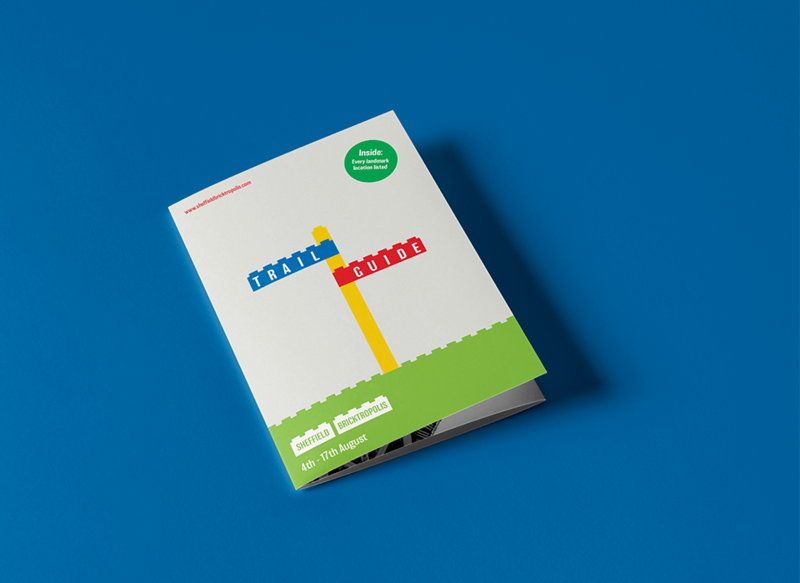 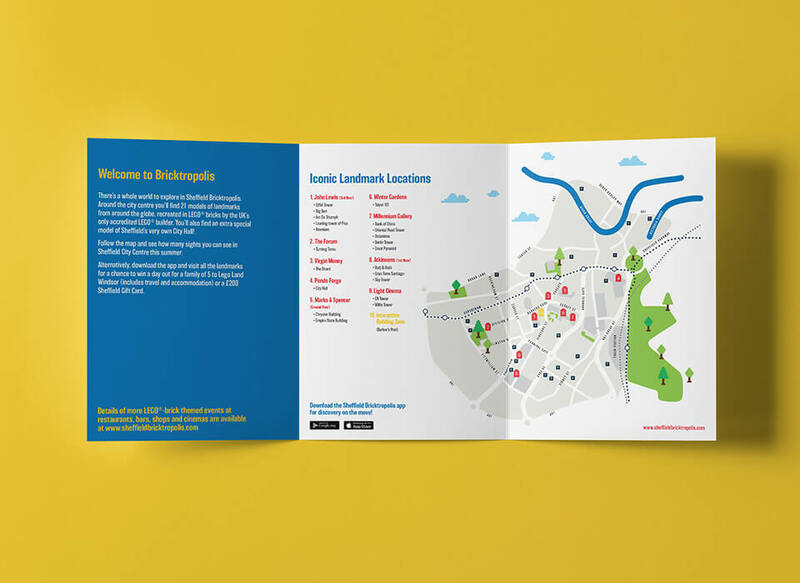 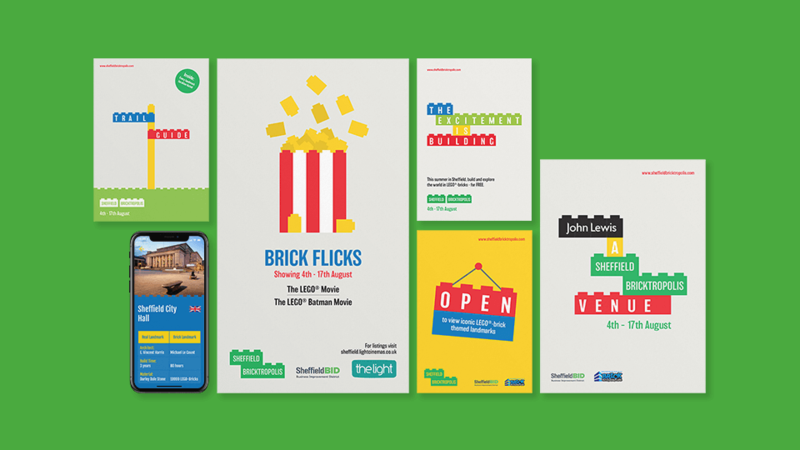 Outdoor posters & vinyls, leaflet drops, and maps were created and distributed in order to promote a trail of 21 of the world's most inspirational buildings recreated in LEGO, as well as an Interactive Building Zone, Mosaic Builds and a variety of LEGO-related fringe events, deals and competitions. 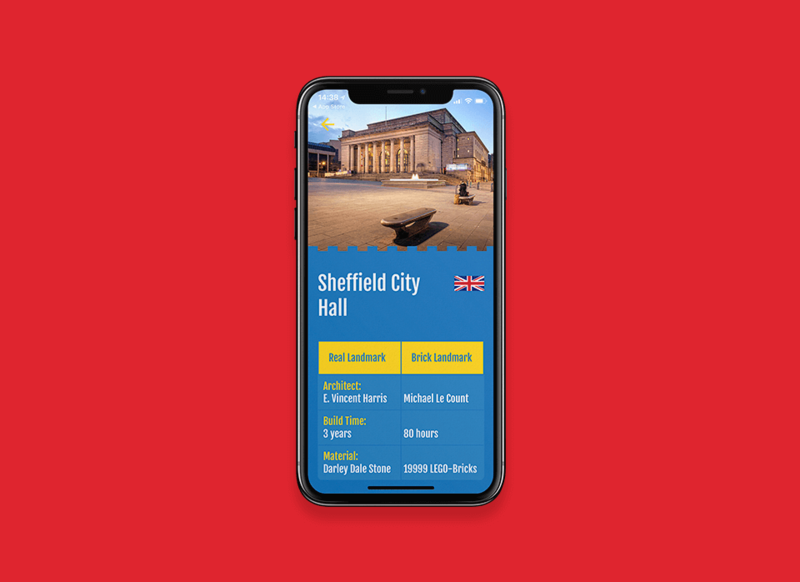 When the event opened it was all about the Interactive Companion Trail Guide App. 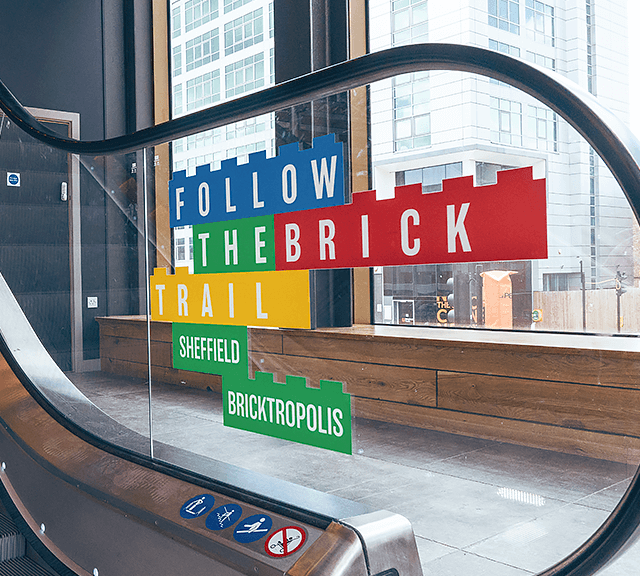 Download it and GPS-based tracking features guided you to each of the LEGO models on the trail, provided information on both the brick and real landmarks, and logged your Trail progress. 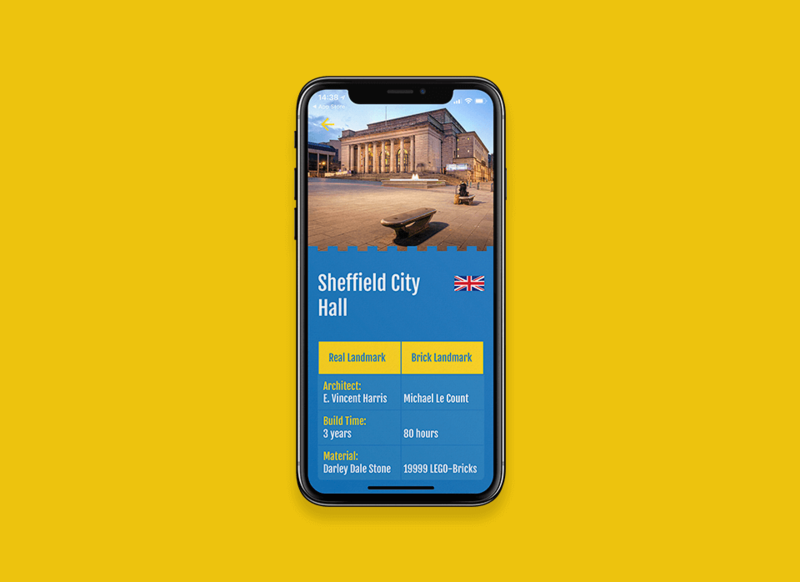 All of which could be updated remotely throughout the fortnight.  At launch, the App instantly became the No.1 trending Event App on Google's Play Store and remained in the top 3 for the duration of the event.